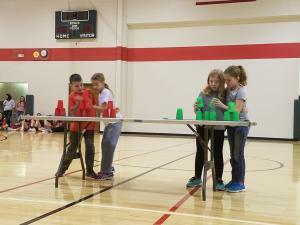 Following our cup-stacking unit, students qualified for an all school competition assembly. 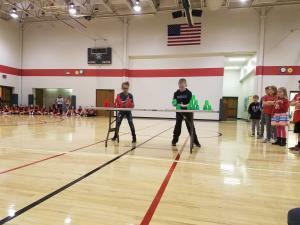 Below are pictures of the assembly and some of the competitors. 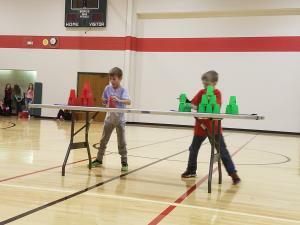 Audrey vs Logan in cup stacking challenge. 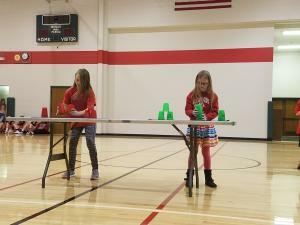 Natalie vs Lillian in stacking competition. 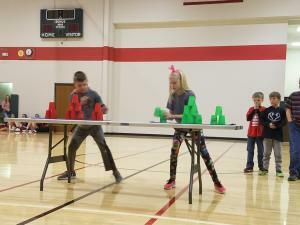 Lincoln vs Audrey in the cycle stacking competition. 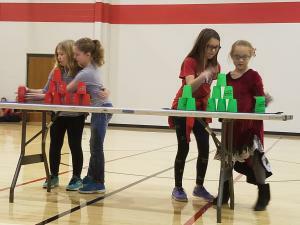 Mackenzie and Kiara vs Hattie and Kayleigh in partner stacking. 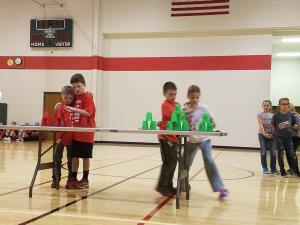 Tate and Lincoln vs Landon and Alexa in partner stacking. 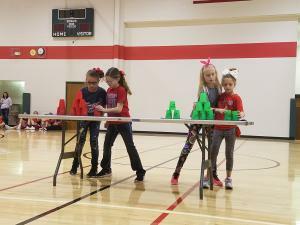 Audrey and Adisyn vs Korryn and Jaylin in partner stacking. 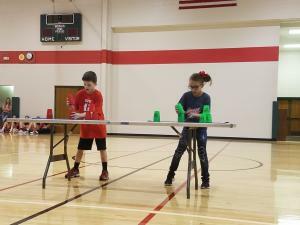 Landon and Alexa vs Mackenzie and Kiara in the championship round of partner stacking. Landon and Alexa were the eventual champions. Maddux vs Korryn in the cycle challenge. 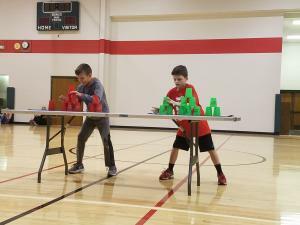 Body vs Tate in cup stacking challenge. Maddux vs Lincoln in the championship round of the cycle. Lincoln became the champion.